Craving a Double-Double? Soon fans of the popular burger will be able to get it in one more state. For those of us who don't live near an In-N-Out, we often find ourselves making sure any trip out west includes a stop by this popular fast food chain to get our hands on a Double-Double. Part of the rabidly obsessive cult following behind In-N-Out's popularity is due to its relative exclusivity. The burger chain has been a staple in California for over 60 years, but they've shown little interest in expanding due to their commitment to maintain quality standards by not shipping beef too far from processing facilities. But burger lovers in the Centennial State will soon have a big reason to celebrate. In-N-Out, which currently operates 328 locations in California, Texas, Arizona, Utah, Nevada and Oregon, is now opening as many as 50 new spots in Colorado. Denver City Council President Albus Brooks announced the exciting news on Twitter on Saturday, Dec. 2. The burger chain is notoriously cautious about expanding as part of an effort to maintain prodicut freshness and quality. Part of the plan to bring In-N-Out to Colorado involves opening a distribution center in the state that will serve as both an office space and a burger patty-making facility. According to the company, the move will help the chain avoid some of the many potential quality control issues that come with meat needing to be shipped from out of state. The move eastward is still in the planning stages, however, and In-N-Out has not revealed the first restaurant location in Colorado or when exactly it will be open. However, Twitter is already getting hungry for this big expansion to occur. I will guarantee I will visit Colorado more if they really do get an In n Out!!! Colorado is getting an in n out?? That whole state is fasho the move now. “Because we are still in the early development phase, we don’t yet have a timeline for the construction of either our support facilities or future restaurants,” In-N-Out spokesman Carl Arena told the OC Register. 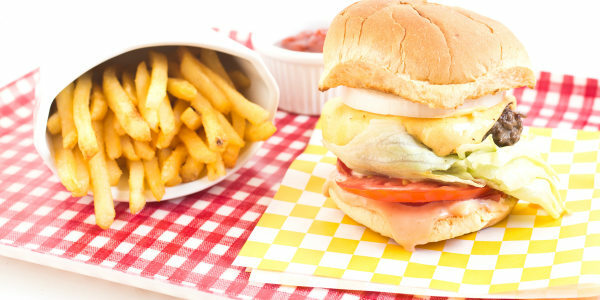 Until then, you can always make this copycat In-N-Out burger right at home.